Since the start of the new year I’ve been focusing on cutting back on calories in an effort to shed the final few pounds I put on during the holidays. Rather than go on an extreme diet, I’ve just been taking small, simple steps on a daily basis, swapping out high calorie foods for lower calorie ones. It’s always amazing how the small things add up so quickly – a little mayo here, some ranch dressing there, a glass of fruit juice, etc. I’ve teamed up with NAKANO® to share some food swap ideas with you along with some healthier, lighter dressings that don’t sacrifice the flavor! I’ve already been following these swaps on and off for several years (check out my recipe for Cauliflower Rice and Homemade Greek Yogurt) and make my own kefir daily. Hibiscus tea is one of my favorites and my kids looove sweet potato fries. And I finally bought a spiralizer and wonder why it took me so long – it’s awesome! 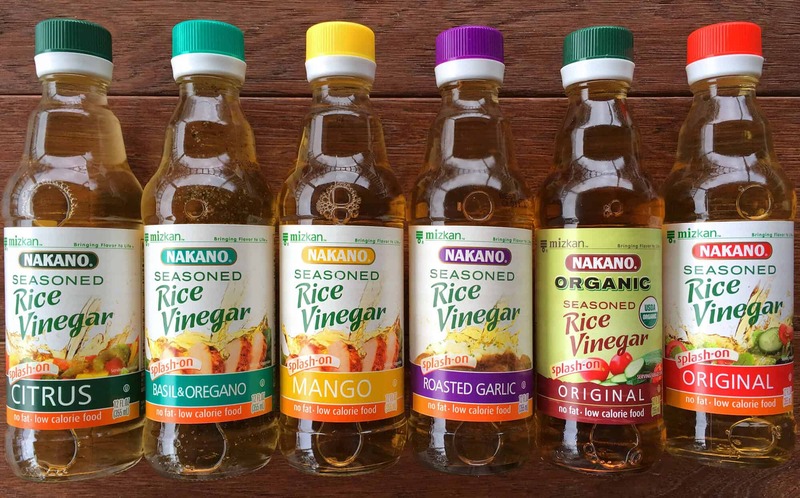 I have the full line of NAKANO® seasoned rice vinegars and love using those in place of higher calorie sauces and condiments. They’re all made without artificial preservatives, flavors or ingredients, no high fructose corn syrup, they’re gluten free, contain no fat and have 50% less sodium than other brands. They’re wonderfully versatile and come in several great flavors. I love that they really enhance the flavor of all these dishes without overpowering them. You can use these seasoned rice vinegars as a full-flavored condiment in place of virtually any fatty, higher calorie ones. And it’s as easy as 1, 2, 3, splash! For more recipe ideas using these seasoned rice vinegars, visit Nakano on Facebook. As I’ve been cutting back on carbs I’ve been eating a lot of salads, vegetables and proteins. The calories in most store-bought salad dressings are scary high and they add up very quickly when you’re eating salads regularly. Plus most of them are full of scary ingredients, including really unhealthy oils – have you noticed that nearly all dressings and most condiments like mayonnaise are made with soybean oil? 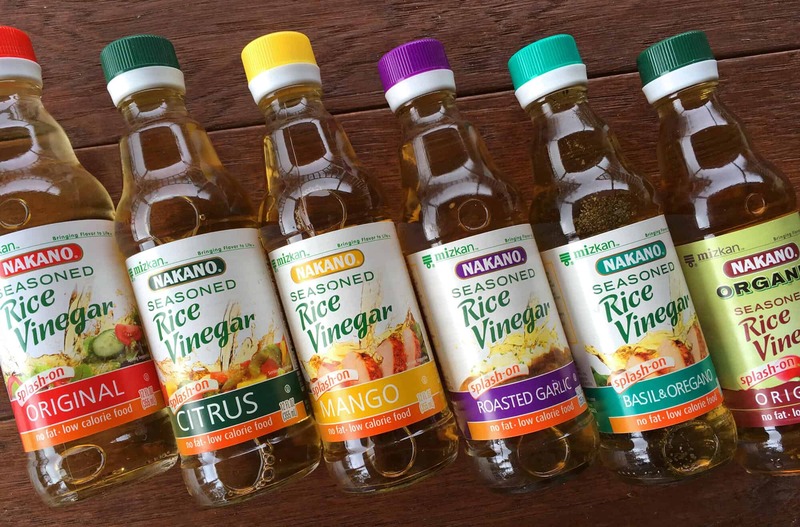 So I usually make my own salad dressings and lately have been using my Nakano seasoned rice vinegars to make flavorful, lower calorie, healthier dressings. Here are 10 healthier dressings made without oil that you can use on your salads, including pasta salads, added to your steamed veggies and some are great for drizzling on your proteins – all healthier, lighter options that don’t sacrifice flavor! Combine everything in a food processor and process until smooth. Transfer to an airtight jar or container and refrigerate at least an hour before using. Makes about ¾ cup. Place everything in a jar with a lid and shake until emulsified. Transfer to an airtight jar or container and refrigerate at least an hour before using. Makes about ¾ cup. Place everything in a jar with a lid and shake until combined. Transfer to an airtight jar or container and refrigerate at least an hour before using. Makes about ¾ cup. Combine everything in a food processor and process until smooth. Transfer to an airtight jar or container and refrigerate at least an hour before using. Makes about 3/4 cup. Place everything in a jar with a lid and shake until combined. Refrigerate at least an hour before using. Makes about ¾ cup. Combine everything in a food processor and process until smooth. Transfer to an airtight jar or container and refrigerate at least an hour before using. Makes about 1 cup. I’ve teamed up with Nakano to bring you this post. Thank you to my readers for supporting the brands that help make The Daring Gourmet possible! SO many choices I can’t decide which to try first. Oh boy, I need to check out all of these fun rice vinegars! I had no idea there were different flavors for rice vinegar! I also didn’t realize there was such a thing as cauliflower rice! Love these new options! Wow! I didn’t know seasoned rice vinegars could be so much fun! Now I know where to look when I want to add more flavor to EVERYTHING. I always make my own dressing, but I love that I can make them even healthier! I’m definitely going to check these vinegars out! Love all of these dressing ideas! I’ve been trying to eat healthier too! These dressings are perfect for me and I can’t wait to try them! My favorite brand of rice vinegar…love all the healthy swap ideas. These dressings all sound fabulous and I need to try some this week!!! I absolutely love all of these dressing ideas!! They are terrific! I love trying new dressings…we always make our own! I have to try these seasoned rice vinegars…I always stick with plain. LOVE Nakano rice vinegars! Thanks for all these great ideas for how to use them and I look forward to trying your lighter, healthier dressings. I’ve been eating healthier this year and love these ideas! I love the food swap ideas. Those are some great swaps! And the dressings sound delicious, too. I love making my own salad dressings. Thanks for these new ideas and swaps. I’ll give them a try! So many great tips and options! Thank you for sharing! These all look so delicious, I don’t even know which one I’m most excited to try… though that mango-cilantro vinaigrette is definitely near the top of the list. Hopefully I can manage to track down some of that amazing-looking mango vinegar! What a fantastic post….SO many great ideas!! I live in Tarragona Spain, where can I buy the rice wine product. Hi Margaret, I’m not sure if this product line is available in Spain but if it is it will be in the vinegar section of the grocery store. On a side note, my husband and I were just in Tarragona last June and loved it! I’m hoping to have some time to publish a blog post about it soon. I’ve never seen half of these rice vinegars – what a selection! Thank you I will certainly look for it as I love the recipes. Re Tarragona we are very lucky to live here , we moved from Fort William Scotland fifteen years ago and love it. Wow! 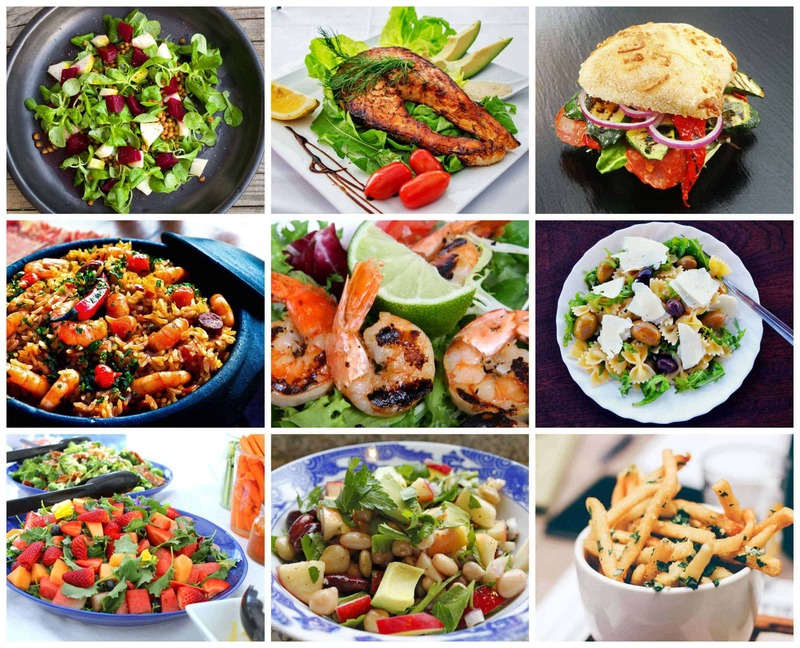 These recipes are what I’ve been looking for as I eat salad every day! I didn’t know Nakano made the seasoned rice vinegars. I’ll be sure to buy some. Thanks for this great post. Love these ideas! We always have rice vinegar in our pantry for dressing, marinades, etc. I’ll definitely be referring back to some of these recipes! Thank you for your recipes they sound like a healthier choice. Yes, these flavored rice vinegars contribute a lot to the flavor of these particular dressings and I’m sorry they’re not available where you are.